After five months of work, and some careful legal pruning, TIME has published my latest long-read: The Most Dangerous Waters in the World. According to the UN’s latest study (spanning 1995-2013) the high seas and commercial channels of Southeast Asia are home to the world’s most active pirates. While the location might surprise some (What about Captain Phillips?) piracy’s persistence shouldn’t. Piracy is the world’s oldest international crime and has confounded even the world’s strongest (and most adept) navies for more than 500 years. 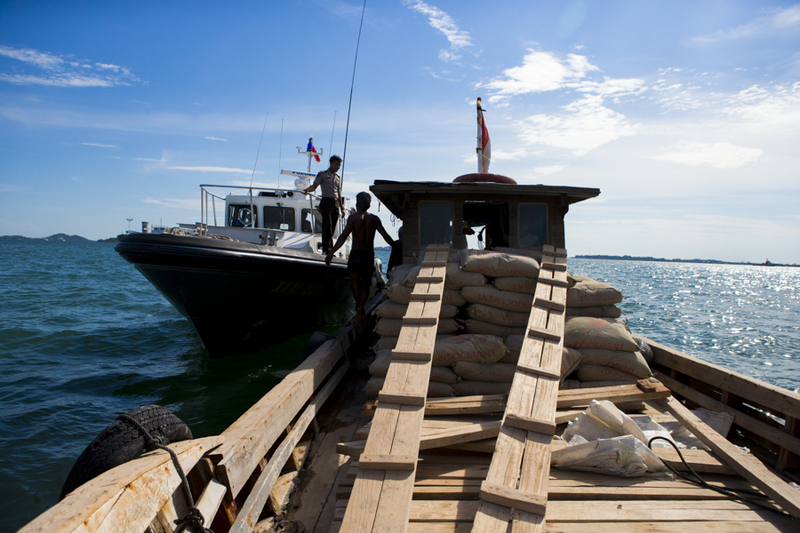 In June, I spent time with the Indonesian marine police. Based on the northern edge of Batam Island, the police outfit was tasked with patrolling a seemingly endless coastline —stretching from the Port of Singapore out into the deep waters of the South China Sea. 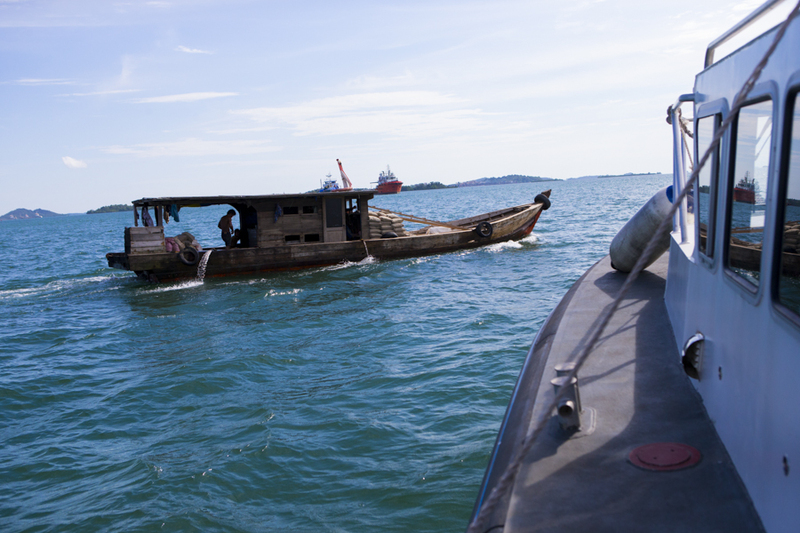 Towards the end of one patrol, the crew spotted a wooden skiff angling across our intended path, headed to Belakang Padang. In the 1980s, that small group of islands was a pirate haven. On sight of the vessel, however, the second in command, an officer named Borish, decide to investigate. As we pulled alongside the ship, Borish walked to the bow of the police vessel, tossed an anchor rope across the void and called out to the captain. With the boats steadied, captain of the skiff, carrying a small, dust-worn backpack, climbed aboard. He pulled out a series of permits —required by Indonesian law for any vessel transporting cargo— for Borish to review. The documents checked out, but Borish wasn’t convinced. “It just looks wrong,” he said, as he walked out of the cabin. The skiff was crudely crafted out of raw wood, sporting multiple cracks. The crew’s wet laundry was hung to dry over a taut, rusty wire strung between two wooden pillars that propped up the boat’s slanting roof. Making his way past a stack bagged cement sand, Borish checked the engine hold, looked at the motor, and then rooted through various storage compartments. These were the easy locations to hide contraband, he later said. Finding little of interest, Borish walked to the bow of the boat, shifting empty crates to reveal a large, concealed stowage area —empty, save some residual sand and paper refuse. “Not today,” he said, as he stepped back onto the police vessel. Pretend you are in the middle of a pitch-black football (soccer) stadium. Hundreds of people are walking in various directions, silently, around you. Among them are a handful of criminals, largely indistinguishable, who intend to rob others on the field. Your job is to track and stop them. But instead of a flashlight, you carry a lantern, casting weak light in all directions. How many could you catch?